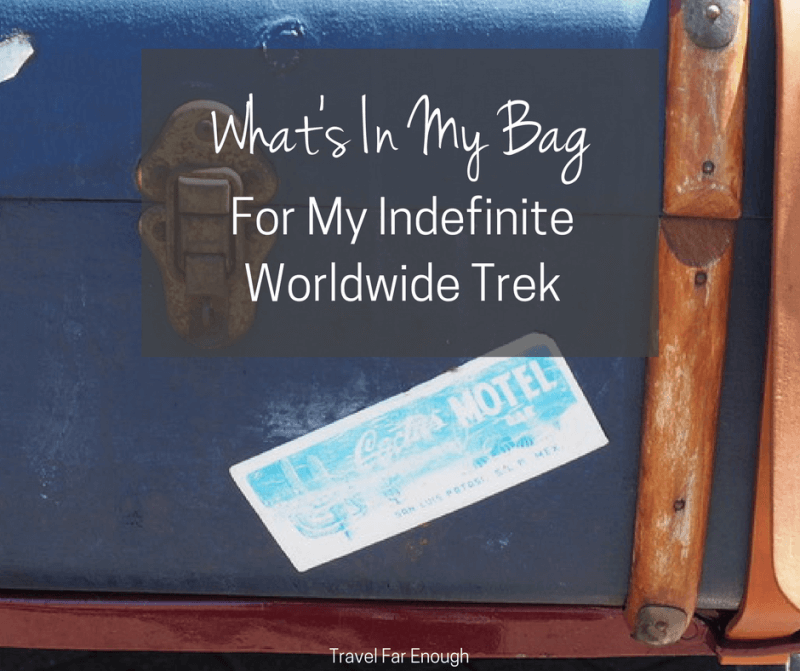 Many have wondered – and asked – what’s in my bag for my indefinite worldwide solo trek. I have to admit, it took me a while to work out what to pack and I continue to tweak it. I’ve learned a lot along the way.